The National Association of Independent Schools believes that a critical ingredient for school health is strong leadership. At most independent schools, there is no formal requirement or accreditation needed by those who lead them, nor is there a typical path that one may go through to take on the role of head of school. Heads of schools may be former teachers or administrators from diverse areas of school experiences and backgrounds, ranging from academic administration and student service areas to admissions and development. Others who are heads of schools have taken a path external from independent schools, coming from higher education or even the corporate world. Regardless of their paths to becoming head of school, they face similar challenges. This article discusses responses from heads of schools about their perception of leadership challenges for themselves and their schools as well as the skills needed for heads of schools to be successful. California Association of Independent Schools (CAIS). Of further note, the independent school market faces an economy that is recovering at a slower rate than expected, and all the while, “the cost of education is increasing and families are evaluating their spending and saving priorities” (National Association of Independent Schools (NAIS, 2012a, p. 2). This could likely result in fewer families choosing to enroll their children in an independent school. Heads of schools have many complex responsibilities and are ultimately responsible for the growth, change, innovation, and financial viability of the schools they lead. To this end, heads of schools’ perceptions and attitudes towards current leadership challenges, and possible strategies to solve these problems, are critical to continued growth in the area of education at independent schools in the United States. NAIS (2010) explains that the primary responsibility of the head of school is to “carry out the school’s stated mission” (¶ 2). While there are profoundly different ways to accomplish this goal, NAIS offers principles as guideposts “for all heads engaged in this rewarding, complex job” (NAIS, 2010, ¶ 2). A recent MetLife survey reported, “the top leadership challenge reported by [78% of] principals and [86% of] teachers was managing the budget and resources to meet their schools’ needs” (Torres, 2013, ¶ 2). This is further supported with findings from a 2001 government study in England that was cited in the NAIS Trendbook for 2012-2013, stating that “strong heads seem to adopt similar, well-balanced leadership styles and strategies that correlate with well-motivated students and staff” (NAIS, 2012a, ¶ 148). These principles allow for many heads to be fiscal leaders as well as academic, cultural, and change-leaders as well. In the summer of 2011, this researcher became the head of an independent school and began a progression towards learning as much as possible from the experiences of other heads of schools. Data-mining their experiences of the job affirmed the motto of this head’s current school, “Aun Aprendo,” or, “I am still learning.” The objective of this paper is to discuss leadership strategies with heads of schools in California, with the hope of finding common threads to support other heads of schools that are also looking to learn from the experience and wisdom of independent school leaders. A second objective is to determine the most common leadership challenges by examining the data provided by fellow heads of schools. Additionally, it is the opinion of this researcher that heads of schools are global leaders as their communities, especially those leading boarding schools, are very diverse and made of students from around the world. For example, at this researcher’s school, the student body represents 18 countries and 11 states. This adds another dimension of potential challenges to the leaders, as they must relate to individuals from many different backgrounds. One of the primary objectives of this research was to understand the perceptions of leaderships skills needed to meet the challenges of independent school heads in California. Although this research is preliminary in nature, the researcher hoped that it would produce useful findings to assist him in the direction of further research. The samples collected in this paper are small in size and scope. The findings support broad conclusions about these perceptions as a whole; however, the researcher is confident that they will provide a starting point, directing further research in the future. This paper involved gathering preliminary data by employing a qualitative web-based survey utilizing the online service Survey Monkey to solicit qualitative responses from heads of schools. The heads of schools were called directly and asked to participate in this gathering of data. The survey was sent via direct email to the participants and they were instructed that they had three weeks to complete the 10-question, qualitative survey. Two emails were sent out at the end of each week during that three-week period, reminding the potential respondents to complete the survey. These reminders were also sent directly from the online survey service, Survey Monkey. Of the 11 heads of schools at independent schools in California who agreed to participate in this study, 8 completed the survey and three shared no responses. The respondent heads of schools were drawn from different school types across California schools of varying grade compositions: one K-8, three K-12, two 6-12, one 7-12, and four 9-12. Because challenges are believed to be similar at all independent schools, participants represented different school structures and philosophical orientations. What do you see as the top three challenges for independent schools in the next 1- 3 years? What do you see as the top three challenges for independent schools in the next 5- 10 years? How have the demographics of independent school students changed over the last five years? How do you anticipate this to change in the future, if at all? In your opinion, in the last three years, have most independent schools added programs/systems/infrastructure that promote environmental sustainability? Do you anticipate this trend (if yes) to continue in the future? Why or why not? Do successful independent schools have programs that focus on being members of the global community? If yes, how do these programs add to their success? How does the curriculum at independent schools, as compared to public schools, prepare students to be successful in the future? What is the most important skill needed for an independent school head? Why? How does the independent school head’s relationship with his/her board of trustees contribute to his/her success? How does the independent school head’s relationship with his/her faculty/staff contribute to his/her success? How does an independent school head’s relationship with the parents at his/her school contribute to his/her success? Analysis on the qualitative data was done using open coding and axial coding. Open coding is used to “open up the data to all potentials and possibilities contained within them” (Corbin & Strauss, 2008, p. 160). Axial coding was used to, “show the relationships between two or more concepts” (Corbin & Strauss, 2008, p. 183). Eight concepts were pinpointed, which centered around three main topics. Open coding and axial coding revealed the three main topics as: relationships, finance, and enrollment. Table 1 shows the number of times that these topics occurred in the eight respondents’ answers. Relationships. The relationships concept of independent school leadership included parents, trustees, and faculty and staff. Enjoying the company of parents can go a long way towards making your job more fun and your parent relationships more positive. And more importantly, when they see that you take pride in and devote energy to educating and promoting their kids, then all seems to go well. Parents, like all constituents, project their own psychology on to teachers and heads. It is vastly important. Most heads get fired because they blow it in a board meeting. When one sees head tenures in the 4- or 5- or 6-year range, it might seem solid, but that is an unhealthy pattern. In the first 5 years a school head is only changing the window dressing, only making superficial changes. It takes time to change and improve the teacher culture of a faculty. It takes years to really strengthen the financial position of a school. How the head gets a vote of confidence of the staff over time is essential. What a school needs in a leader depends and varies a great deal. It is important that there is a professional and clear working relationship and the boundaries of administrative authority and faculty responsibility are clear. There is a difference. Faculty members need to know the rules, the boundaries, and the expectations. There needs to be a respectful working relationship and understanding of the different roles and the different jobs. The financial aspects of independent school leadership included long-term vision and sustainability, financial aid, endowment growth, and endowment management. You have to be able to see your community not only for what it is, but for what it could be. Then you have to be able to put the people and planning in place to help it get there. Ultimately, our schools need leaders who are as forward-thinking and ambitious as their students. It takes a lot of resolve to advance an educational institution, so a combination of passion, perspective, and productive patience is absolutely necessary. The most important skill is to be able to develop and maintain a strong vision for what a great high school education can do for teens and then communicate that vision effectively to diverse constituents: students, parents, alumni, neighbors, donors, and trustees. “1. Enrollment 2. Enrollment 3. Enrollment. I am not sure about all independent schools, but the financing of a small liberal arts college may be the canary in the coal mine for boarding schools. Schools that do not have a clear mission or enrollment segment need to figure that out….quick. It was this researcher’s intent to show the perceptions of these individuals’ crucial leadership skills. The researcher hopes to inform others who may become heads of schools, and also to give rise to further research. The goal of this paper, through preliminary data gathering, was to see if there were commonalities regarding the leadership strategies used by heads of schools in California to determine how these strategies affected the three areas perceived to be most significant: relationships, finance, and enrollment. The hypothesis was that these strategies would be similar regardless of what grades these heads managed in the K-12 realm. Certainly, a head of school has a multi-faceted job and has tremendous impact on the organization that he or she is managing. Because the economy in the United States is in a slow recovery, it is not surprising that many of the heads listed economic issues as a top priority, and enrollment as another. Although the two issues are related and intertwined in schools, for the purposes of this study, perceptions identified under admissions were issues of being able to identify students who were aligned with particular schools or who would increase the diversity of the community. Therefore, financial aid is listed under the finance section, as it is typically one of schools’ largest expenses. Relationships between heads and the various constituents with whom he or she interacts was a significant part of the survey and one that almost every head of school talked about as being of extreme importance. Perhaps a good follow-up study could make an investigation into this area as a focus, with a larger sample representing schools across the United States. This study was a preliminary data gathering, and therefore was limited in both the number of participants and the geographical area in which the heads of schools work. Because of this, generalizations cannot be made about these perceptions as they relate to the perceptions of all independent school heads in the United States; however, it does offer a suggestive pattern of perceptions and behaviors that could be hypothesized in future studies. Future research should include a larger sample, as this was a preliminary collection of data. In summary, the perceptions of independent schools heads in Southern California, when asked about leadership skills that are important to their jobs and solving problems that may arise, focused on three areas. One area was relationships with trustees, parents, and faculty and staff. A second was finance, in areas of long-term sustainability and vision, financial aid, and endowment management and growth. The third was enrollment challenges in the two areas: diversity and mission-appropriate students. The findings are limited because of the small size of the sample; however, the heads of schools provide interesting anecdotes about the perceptions they have regarding leadership skills and how these skills apply to the day-to-day challenges each head faces. Often these skills and strategies are applied by heads of schools who are leading diverse and global communities. More research will need to be done to include a larger sample from independent school heads from across the United States. Additionally, the results of this preliminary data gathering could point future researchers to narrow their focuses and investigate one of the three main topics identified in this paper: relationships, finance, and enrollment. Hoerr, T. (2009). School leadership for the future. Washington, DC: National Association of Independent School. National Association of Independent Schools. (2012a). Trendbook 2012-2013. Washington, DC: NAIS. Torres, A. (2013). Leadership challenges at public and independent schools. Independent School, 73(1), 16-20. 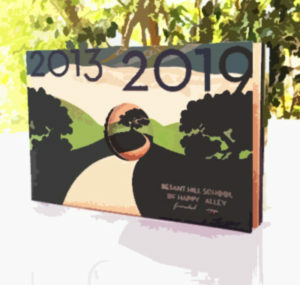 Dr. Randy Bertin is Head of School at Besant Hill School, an independent boarding school in Ojai, California.